I was thinking of this as it applies to my life. I have had many challenges here in LA but by the grace of God I have tried to be true to the pattern of living set forth in the Bible. Integrity means a lot when representing God and what I have seen in LA is that a lot of people are tired of the fake Christians. I was even told when I first got here that please don’t tell me you are a Christian. People are tired of the image of God they are seeing in American Christians….. It’s beyond the differences we might have between “family” members to how we treat each other in the family….This goes to the heart of God. Let’s be followers who take the time to examine our lives. Are we going to have a worldly standard of how we do life or a biblical one?…I read of the Christians who loved God and had a simple faith to lay solid foundations for their disciples….Let’s be those kind of Christ Followers!! I read of people who simply went out to bring God to people in reconciliation…whether their initial salvation through Jesus Christ and/ or resolving relational conflicts among believers ….again, let’s follow!! 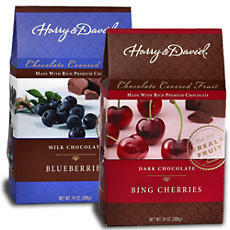 To end with an Arlene funny:Why do I love Harry & David fruit covered chocolates? They have no wax!! !